about how it’s OK not to be OK.
Sally’s a happy person. She doesn’t let little things get her down and she almost never cries. But she’s got an illness. It makes her feel like she isn’t the person she wants to be, but she doesn’t want anyone to know about it. It’s joyful, buoyant, gleeful, slightly silly, sugar-coated, unrelenting and completely super happy! (Except for all the bits about depression). 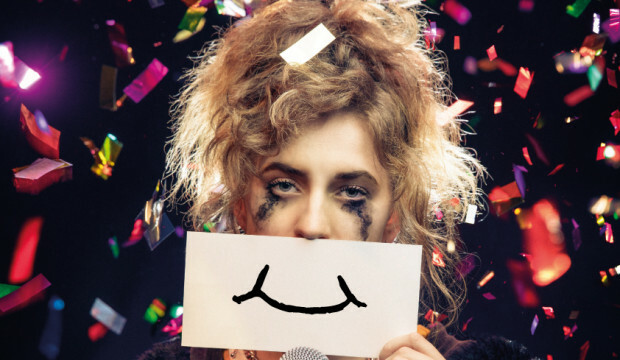 Written by Jon Brittain (Olivier Award-winning Rotterdam), with music by Frisky and Mannish’s Matthew Floyd Jones, A Super Happy Story (About Feeling Super Sad) won a 2017 Fringe First and the Musical Theatre Review Best Musical. Most house venues are now on sale. Please contact the venues with any queries.